D.C.’s H Street NE streetcar got a bumpy test Thursday. Almost immediately as transportation officials ran a test vehicle on the tracks, cars could be seen driving across the rails and pedestrians blocked the way, according to transportation reporter Adam Tuss. The test vehicle needed almost an hour to travel five blocks. “That’s a big issue that we’re trying to get ahead of now, and part of it is just changing the behavior of folks in this area,” said Cherie Gibson, of DC Streetcar. 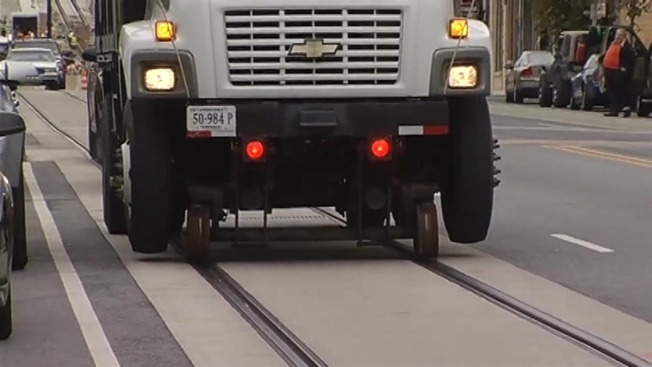 Starting Dec. 1, vehicles that block the streetcar path will be ticketed and towed. The street cars are slated to be up and running next year.